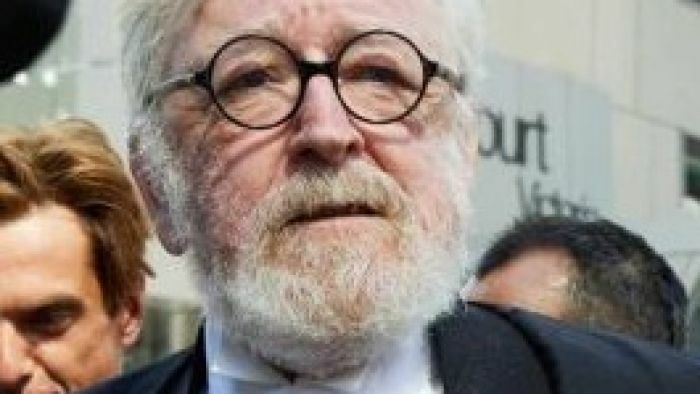 Top barrister, Robert Richter QC, will no longer represent Cardinal George Pell in court for his sentence and appeal, saying he is too emotional and angry about the guilty verdict handed down by the jury. Pell was convicted of sexually abusing two choirboys while he was the archbishop of Melbourne in the 1990s. He is due to be sentenced on March 13 but has already lodged an appeal. “I’m too angry and upset at the outcome to bring the objectivity that an appeal requires,” he said. Mr Richter said he will still be available to help Pell’s legal team and is convinced he had a strong case in overturning what he called “a questionable conviction”. “I will not be arguing the appeal myself simply because I believe the Cardinal deserves someone who can be dispassionate enough to present the case to the Court of Appeal,” he said. “I’m too involved and I have been too involved for too long. Last week, Mr Richter issued an apology after he described Pell’s abuse of a 13-year-old choir boy as “no more than a plain vanilla sexual penetration case”. In a statement he said he had reflected on what he termed “the terrible choice of a phrase”. However Mr Richter insisted his decision was not influenced by the controversy. “Not in the least,” he said. “I thought I’d done a professional job here and I thought there would be an appropriate result. He also said it was not unusual for him to step away from a case before it went to an appeal. “I very frequently do not appear in appeals of decisions in which I’ve done the trials or the pleas, because I think they usually require a clearer and more independent head to evaluate,” he said. Bret Walker SC will run the appeal. A jury found Pell guilty of sexual penetration of a child under 16, as well as four counts of committing an indecent act with, or in the presence, of a child. The verdict relates to two different incidents that took place when he was the archbishop of Melbourne. Pell abused the two choirboys at Melbourne’s St Patrick’s Cathedral after celebrating one of his first Sunday masses as archbishop. He abused one of the boys a second time, two months later. Pell has always denied the allegations but he did not give evidence during the trial, nor make any public comment. His lawyer, Paul Galbally, released a statement after the suppression order lifted to confirm an appeal had been lodged. “Cardinal George Pell has always maintained his innocence and continues to do so,” the statement said. “Although originally the Cardinal faced allegations from a number of complainants, all charges except for those the subject of the appeal have now been either withdrawn, discharged or discontinued.